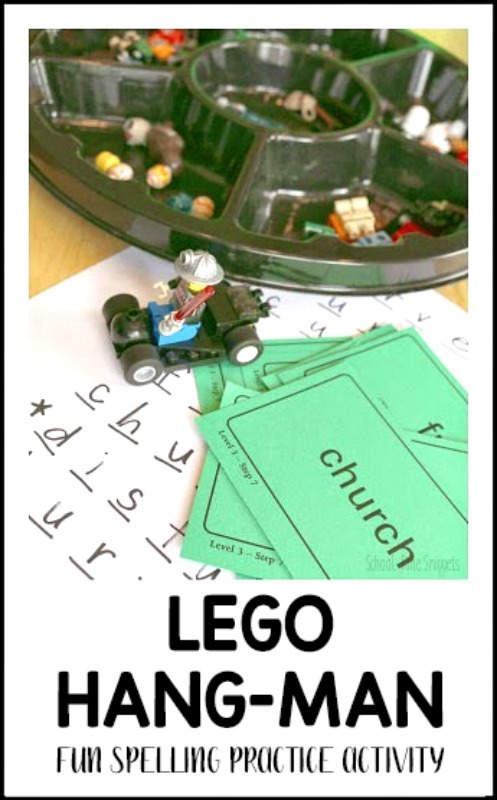 There are a lot of fun ways to learn with LEGOs. Add a LEGO flair to the classic game, Hang-Man. Use this fun activity way as a way to practice spelling. Ditch the spelling drills and play LEGO Hangman! 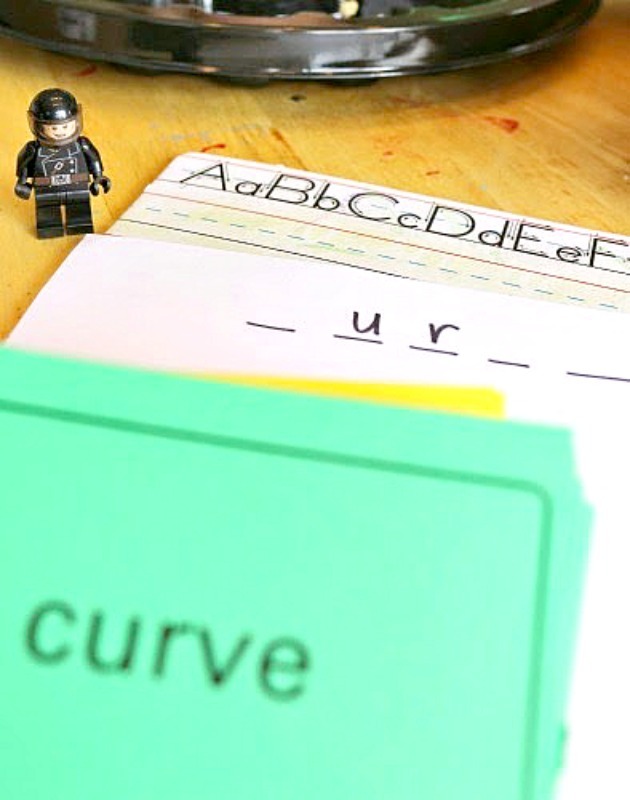 We've been on a roll the past few weeks sharing a couple new hands-on ways for your child to practice his/her spelling list, and today I am sharing yet another idea that was a big hit with my son! It is similar to hangman. Thus, we practiced his latest spelling list with a little game called, LEGO Hangman. However, the catch is is that you do not want to build a Lego figurine! But building a mis-matched Lego figurine was half the fun! As an Amazon Affiliate, I receive a small commission on qualified purchases. We used a tray that was divided into six compartments. In each compartment was a group of Lego pieces: legs, bodies, heads, hats, miscellaneous pieces, and a couple of cars my son built. With these pieces, my son had six chances to pick the correct letters to spell one of his spelling words. So if you guessed a letter that was not in the word, he had to choose a Lego piece. We continued until he had a Lego figure built and/or he correctly spelled or guessed the word! As I mentioned, it was a big hit with my son and I'm sure we'll be practicing his spelling words like this a lot more! 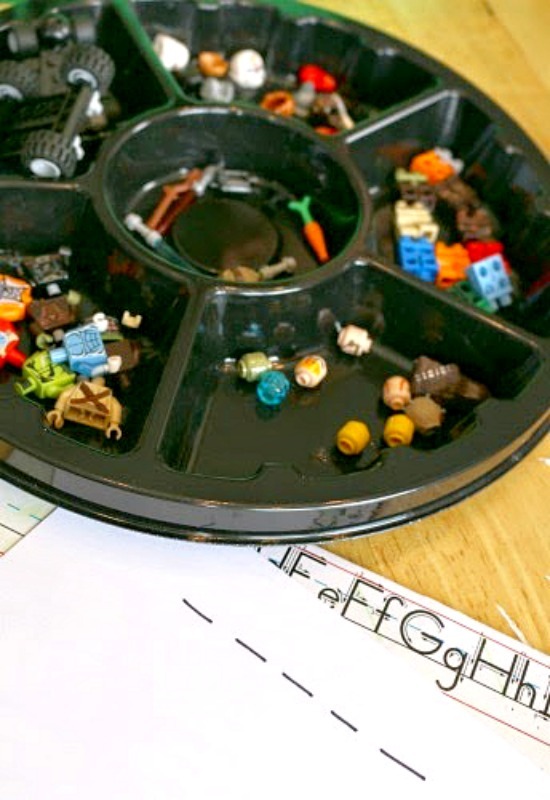 Alternatively, you could begin with several LEGO mini-figures put together and take it apart for every guessed letter not in the spelling word. At the end, count how many completed mini-figures you have! 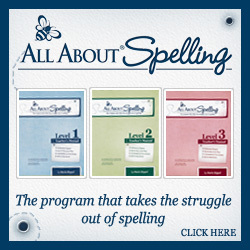 And if you are curious about the spelling program we use, we love All About Spelling!